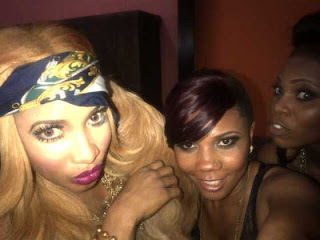 Its yet another open letter to Tonto but this time around its written to Tonto dikeh and cossy. 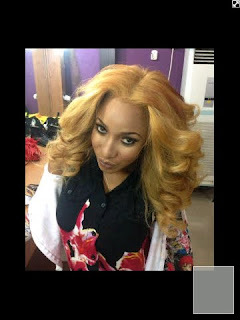 It was written by a blogger Ngozi kanwiro (www.ngozikanwiro.blogspot.com). Is the letter really necessary...state your opinions pls . I call this juicy, from the beginning of the interview till the end there was never a dull moment. D'banj let it all out in these amazing interview, he made it clear that he is not a player but a very straight forward lover in a serious relationship,stating that his relationship with Genevieve was the best he ever had. He spoke about his career, his reality show, his upcoming single and of course his kokolets . They had this lovely photos taken by Reze Bonna..
Photo credit- Nigerian Entertainment Today. Beautiful Tonto Dikeh covers Y naija magazine "December Issue"
Ngozi Nwosu is dying. She has lost it all; weight, strength and vigor but not her talent and deep sense of humor which she displayed during the over one and a half hours we spent together recently. Her emotions ranged from profound despair to occasional outbursts of laughter at her own jokes.When i got a call from the organizers of Who Wants To Be A Millionaire to come play in the special Celebrity Edition last week, I did not know it was the cause of our Dear Ngozi I will be playing for until I got there. The Director revealed this to me few minutes before recording began as Ngozi sauntered in Seun said..
Ngozi Nwosu is suffering from Kidney and heart related issues and not HIV as speculated. Her nurse said “Thanks to God and medical attention, she is willing to give living again a chance by fighting,”. She needs N6m for her treatment abroad, and she needs it fast..Help Ngozi live longer with your support. Please send your support to Ngozi Nwosu GTB 0052851673..
From the heart of Nigeria, we introduce to you www.jobclickr.com, a job search engine for Africa, which is revolutionizing the job market across Africa. Africans have always being accustomed to the traditional ways of finding jobs, which are local newspapers, word of mouth from friends, bill boards, fliers, TV commercials and more recently Online Job sites. Jobclickr.com was created to help Africans find jobs anywhere and everywhere faster. What is jobclickr.com?? And how does it work?? Jobclickr is a job search engine that crawls/indexes all job sites in Africa and delivers the results in a uniquely arranged format to any jobseeker based on their search. It basically searches every African jobsite, corporate website, blog or social network on the world wide web for jobs, gets these feeds and provides it to any jobseeker based on their search criteria. Whether you are a Nigerian in South Africa, that seeks to work in Ethiopia or Ghana, jobclickr.com is the site for you. How can a Job Seeker use jobclickr?? description you seek and it will bring jobs in that field to you..If you want to search by city, click the city tab and select the city you desire. newspapers(including this blog) and will deliver the results to you immediately. How is jobclickr beneficial to Nigerians and Africans?? Jobclickr helps you save time. Instead of searching a million job boards painstakingly one after the other.. why don’t you let jobclickr do all the work for you. from Federal university of Technology Owerri (FUTO). He launched his first business when he was 16yrs, he’s worked for American Software Resources, Google and a host of other software companies. MUSCULAR WOMEN:: WOULD YOU RATHER LOOK LIKE THIS? Stumbled upon this photos, and i was like what the heck, are this really women or Photoshopped? This are real women who have honed their physique over years of dedication, hard work and determination. Martin Schoeller an acclaimed photographer took the portraits of this international athletes during the peak of their physical condition. A sport competition of female building first originated in the US in 1978 where they were judged solely on their muscles, it was tagged "Women's National Physique Championship"
So babes would you rather be like this and chop Ur dollars? The kukere master Iyanya Mbuk was spotted in a photo shoot with Nigerian Emma Nyra an artist based in Houston Texas United states.. Check out the splash below...yah or Nah?